The Best GPS Tracking Device You Can Buy! Get pinpoint accuracy LIVE directly on your computer or phone of the location of these GPS trackers. With great features such as instant travel alerts, historical reporting, dangerous driving and extremely long battery life, these easy-to-use features and devices let you know what's going on 24/7. They can be used as personal GPS tracking devices for monitoring a family member such as a teen driver, or even as a gps tracking device for kids to keep an eye on where your child goes by leaving one in his/her backpack or jacket. The same small tracking devices can be used to monitor your assets, cars, and even a cheating spouse you have suspicions on. No matter what you need to track, or why, we’ve got the best selection of reliable trackers and features currently available on thousands of live units in the field right now. Don’t wait in the dark any longer and gain more visibility of the things that matter most by knowing what's going on today. Whatever movements you need to track or account for at any given moment, there's a GPS tracking device ready to put timely robust data as close as your nearest PC or mobile device. Using the same cellular data plans which your cell phones use, along with internal GPS sensors, these GPS devices transmit location data virtually anywhere they are, ever single second for you to know instantly from your phone or computer. Because GPS trackers use cellular to transmit the data, using a bug detector such as the Spy Matrix, it will be able to pick up those transmission signals. This typically occurs only when the tracker is in motion. It's rare today for a cargo container or commercial freight vehicle to travel without a GPS tracking device because of the expensive assets they contain. As satellite-based monitoring technology has reached lower and lower consumer-friendly price points to match ever more innovative applications, GPS monitoring systems have shrunken in size and improved in effectiveness to make them ideally suited for personal navigation, monitoring delivery and asset movements between destinations, and even protecting children or elderly in the event of a disappearance. Anything you could attach your tracker of choice to, you'll have a constant pinpoint lead on its location and travel to the narrowest degree you could choose. As undeniable legal proof of record goes, there's no understating the value of a tracker that keeps a running reviewable record of a tracked individual, vehicle or object's movements. Nevertheless, the civilian and commercial surveillance markets' most sought-after devices provide the indispensible peace of mind that comes with instant feedback and history through customizable movement alerts. Depending on your personal needs, there's likely a great deal to be said for overall versatility. A number of devices come in compact packaging small enough to fit inside a pocket or backpack, tote along on a hike for safe navigation through remote areas, and either discreetly stash or mount with a magnetic case inside or underneath a car loaned to an enthusiastic teenager or that of a questionable spouses' late night activity. Battery life is usually the number one concern. Lasting from a few days, up to many months battery life for a single full recharge is determined by how often the tracker is sending its location and the size of the battery. More battery time equates to larger form factor, but expect power usage will vary. For truly conservative usage, look into battery-powered trackers that enter low-power states, basically a sleep mode, until a built-in motion sensor activates upon movement. These smarter devices can sometimes last upward of 6 months between charges, assuming around an hour a day of use, but certain devices also include kits that can extend battery life much longer than that. Geo-fence alerts, speed alerts and history are the next most important features to consider when looking at using a GPS tracker. A geo-fence is an area on a map which you will get notified once the GPS tracker enters or exists that area during a specific time. The same goes for speed alerts that notify you when the tracker is stopped idle or breaks a speed threshold that you set. These scenarios are ideal for fleets, teenage drivers or questionable activity of a spouse or employee. You'll never need to wonder if your child is on his or her way home safely. Slip a GPS device neatly out of a sight in or on a newly minted teenage driver's car, and you'll know not only which open road it travels but whether its driver is observing a safe speed. The most compact and portable devices or hardwired GPS system lets commercial fleet operators keep up-to-the moment tabs on cargo deliveries and fleet vehicles. It's the peace of mind that comes with instant location and movement updates and instantly drawing a bead on a target's whereabouts in the event of an emergency. Why do you need our GPS Tracking Devices? Because we are the experts in GPS tracking since its inception and we guarantee our service. 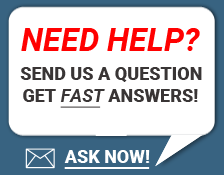 If you have any questions call us anytime!